Heat related illnesses can impair health and safety at any age. The potential for these illnesses must be taken seriously by agricultural employers and employees. 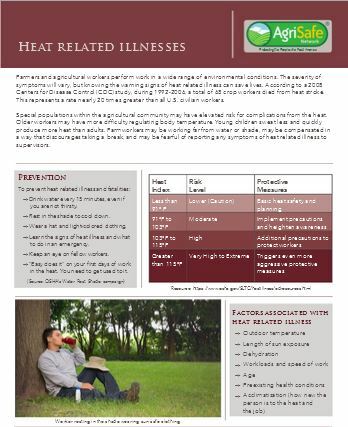 This presentation, Prevention of Heat Related Illnesses in Agriculture, will address related pathophysiology among vulnerable populations and critical steps to prevent heat illness. Explain the pathophysiology of heat related illnesses (HRI) including heat stroke, heat exhaustion, syncope, heat rash, and heat cramps. 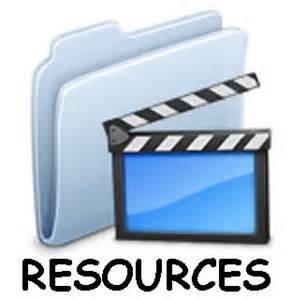 Recognize pre-existing health conditions and medications that are contraindicated when working in extreme heat. Describe personal protective equipment options and considerations in extreme heat. Identify action steps to prevent heat stress.